Employees at the Staten Island facility spoke about what they called problematic workplace conditions at a press conference in front of New York City Hall. (NEW YORK) — Amazon workers at a Staten Island warehouse are launching a campaign to unionize, officials at the retail workers union confirmed on Wednesday. The news of the organizing push was first reported by Bloomberg. The conference took place before a New York City Council hearing on the new Amazon HQ2 or second headquarters deal on Wednesday, officials from the Retail, Wholesale and Department Store Union (RWDSU/UFCW) who are working with some Amazon employees to organize, told ABC News. News of workplace conditions is under renewed scrutiny on the heels of the Queens HQ2, for which Amazon is receiving more than $1.5 billion in tax breaks and incentives from New York City and the state. The deal has been criticized for granting taxpayer funds to the world’s largest retailer. Protesters say that the already crowded mass transit system cannot handle the additional 25,000 workers that Amazon has promised to hire locally to commute to Queens. “Health and safety at the facility is also [a] huge issue. Product bins are over-stuffed and our breaks are few and far between. The third and fourth floors are so hot that I sweat through my whole shift, even when it’s freezing cold outside. We have asked the company to provide air conditioning for us, but they told us that the robots inside can’t work in cold weather, so there’s nothing they can do about it,” Long said. “On top of that, the sprinkler system and smoke detectors in the building don’t even work! I honestly feel that my life is in jeopardy just by working there,” he added. 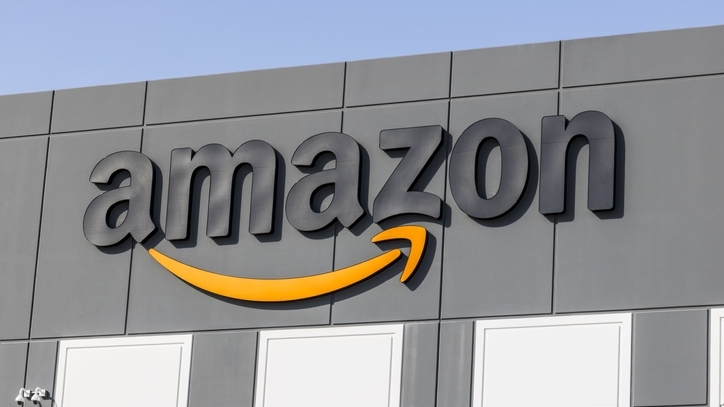 Last week, 24 Amazon workers in New Jersey were hospitalized after a robot accidentally tore a can of bear repellent spray at a fulfillment center in Robbinsville Township, New Jersey.